The United States Supreme Court heard oral arguments in SAS Institute v. Matal on Monday, November 27, 2017. 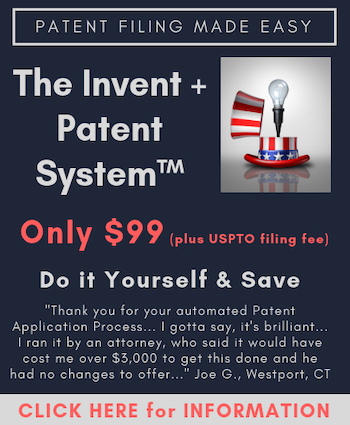 This case should give the Supreme Court the opportunity to declare whether the Patent Trial and Appeal Board must issue a written decision covering all claims challenged in an inter partes review proceeding, and based on the oral argument transcript the Court may also decide whether partial IPR institutions are permissible under the statute. In advance of oral arguments I asked a panel of experts for their predictions, which you can read here. After the conclusion of the oral arguments, I reached out to a number of industry insiders to again ask them to provide their thoughts and predictions, this time after having reviewed the Q&A that took place during the oral arguments. The feedback received is admittedly quite different than my own analysis. Their answers follow. Before proceeding, my thoughts continue to be that the statute is very simple and mandates the PTAB to issue a final written decision on all claims challenged. This seemed to be consistent with what Justice Alito and Justice Gorsuch were saying during the oral arguments. However, Justice Sotomayor dominated questioning throughout the early stages of the oral argument, continually saying that what was being sought was a reversal of the Court’s decision in Cuozzo. The Supreme Court does not need to reverse Cuozzo to rule that the PTAB must follow the rather clear language of the statute, but Mr. Castanias, who argued on behalf of the petitioner, continually talked about this giving the Federal Circuit the ability to review everything on appeal. His inartful argument understandably confused what should otherwise be a straightforward issue. Justice Breyer, who seemed clearly in favor of the respondent, sought to re-write the statute to find the actions of the PTAB to be in keeping with the text of the statute. I continue to believe this is an easy, straight forward case, but the oral arguments suggest there will be a split among the justices, perhaps along political lines (i.e., liberal wing vs. conservative wing). For my longer analysis of the issues see SCOTUS to hear SAS Institute. Should the conservative viewpoint of Justices Alito and Gorsuch prevail there is also a chance that the Supreme Court will rule that the PTAB cannot grant partial institutions. While impossible to predict based on oral argument alone, a 9-0 decision either way seems unlikely. Yesterday, the Supreme Court heard oral arguments in SAS Institute, Inc. v. Joseph Matal on the question of whether the PTAB is required by statute to address the patentability of every challenged claim in a final written decision in an IPR proceeding. Some justices disagreed as to whether the statute was clear on its face or whether the inclusion of the word “any” required interpretation based on the context of the statute. Consistent with Cuozzo v. Lee some justices argued that the AIA gives the PTAB broad discretion in its institution decisions. While the comments of the justices at oral argument are not necessarily predictive of the outcome, it is doubtful that the Court will decide the case on a strict statutory interpretation basis. Stay tuned. In general, I felt that Justice Sotomayor set the tone for this argument with her opening line of questioning characterizing SAS’s requested relief as an attempt to “get around Cuozzo” and provide an alternative means for appellate review of the denial of institution by requiring that every claim challenged by the petitioner must be addressed in the final written decision. The Court seemed to focus on two portions of the argument raised by SAS – first, the meaning of the language of section 318(a) that the Board “shall issue a final written decision with respect to the patentability of any patent claim challenged by the petitioner” and second, the argument that, where the Board has declined to institute with respect to certain claims, the Petitioner should have the option to choose to return back to the district court. In response, counsel for the PTO argued that 318(a) should be read to apply only to those claims as to which institution was granted and that the Petitioner does have the option to reach a settlement with regard to the IPR and return to the district court after the institution decision has been entered. With respect to partial institution (or the decision to institute only on some claims and not others), Justice Kagan notes that the statute gives great discretion to the Board – “It says you never have to institute; it’s your choice whether to institute; you can’t get review of the institution decision, which is our Cuozzo case; you get to write your own rules about the institution decision…. So it’s a little bit odd to say, well, here’s the one thing you don’t have discretion over when it comes to institution: you can’t say these claims but not those claims.” (Tr. at 23) Although the Court did spend a significant amount of time discussing the statutory language, overall, I came away with the impression that the Board will continue to have complete discretion over its institution decisions. My view–which continues to assume IPRs are upheld–is that the Supreme Court based on the oral argument is likely to uphold the Federal Circuit. To be clear, this is a change from my earlier prediction–and runs contrary to the Fantasy SCOTUS position. This is based on the argumentation where Sotomayor barely let SAS’s attorney (petitioner) out of the gate without treating this as a re-argumentation of Cuozzo. But I think worse for SAS’s chances, Breyer also seemed not to be buying SAS’s position on the statute. This is troublesome because Breyer has often written the decisions on patent cases that had small splits. I also think the justices just did not see the importance of this case since they viewed the PTO as capable of achieving the same results with a “two step” denial of petition with an invitation to refile together with a concern I hinted at earlier what would the PTAB say if they did not really have a record, basically a short section mostly repeating the earlier non-institution decision. Which the justices worried would not leave much of a record for the Federal Circuit to review on appeal. Nonetheless, the tenor of this argument and the seeming support for the Cuozzo result, bolstered my confidence in my Oil States prediction. One issue that nagged at me in the SAS argument, as opposed to Oil States, was how unfamiliar the justices were with the IPR process and what a typical (non-)institution decision looks like vs. the final written opinion as well as the timing of the underlying case. It seemed like both sides seemed to have dropped the ball a bit here, but it also highlights how far removed appeals courts, and particularly the Supreme Court, can be from the underlying systems they are adjudicating. After the SAS oral argument, two observations stand out. First, patent law has traditionally been an area of law where the Supreme Court justices generally agree on the result. Indeed, there have been numerous unanimous patent-related decisions. SAS, however, is different. The Court appears to be divided with the conservative justices sympathetic to the petitioner and the liberal justices sympathetic to the government. Thus, a close split vote is likely. Second, regardless of which side prevails, the IPR system will still have shortcomings. The Petitioner acknowledged that under his position, the PTO will either have to issue an opinion on all the claims challenged – even if the PTO did not want to institute an IPR on all the claims – or decline institution of the IPR and identify that an IPR is possible on a smaller subset of claims, thus allowing the petitioner to file a new IPR with the smaller subset of challenged claims. Either option generates more work than likely intended. On the other hand, the government acknowledged that partial institutions will require district court litigation to resolve the non-instituted claims. Indeed, the government stated that an IPR is not a substitute for litigation. This view is contrary to the view of many practitioners who consider IPRs a less expensive alternative to district court litigation. If IPRs do not resolve the pending related litigation, both sides will incur more costs by having dual proceedings, and the possibility of inconsistent decisions between the two proceedings also increases. Joseph Saltiel is a partner in the IP Department at Dinsmore & Shohl LLP. He is an experienced patent litigator who counsels clients on intellectual property matters including licensing, freedom to operate, IP enforcement, opinions of counsel, and patent and trademark procurement. He holds degrees in computer science and electrical engineering. I think the Court will affirm, upholding institution of IPRs on a claim-by-claim basis and permitting the PTAB to continue its practice of issuing final written decisions on only those claims upon which the IPR was instituted (including any new claim added by amendment). I think that a majority of the Court will find that 35 U.S.C. § 318(a) is ambiguous. It is unclear whether the statute’s opening phrase “[i]f an inter partes review is initiated” modifies the subsequent phrase “any patent claim challenged by the petitioner,” especially because, as Justice Breyer stated, the scope of the word “any” in a statute is “very often ambiguous.” And if the statute is held to be ambiguous, as Justice Breyer also pointed out, the “very practical” way to construe it is to permit review on a claim-by-claim basis and a final written decision on only the instituted claims, as presently done under the USPTO’s discretionary rule-making authority. Under such a construction, the Federal Circuit would only review the instituted claims, for which it has a developed record, and estoppel would apply against the IPR petitioner on only those claims. The alternative construction would be impractical. SAS Institute argued that the final written decision should say that “we are not finding [a non-instituted claim] unpatentable.” However, this would lead to a prohibited appeal of an institution decision. Moreover, because the non-instituted claims have not been tried, the record on them is incomplete, and thus the Federal Circuit could not adequately review their patentability. Finally, it would make little sense to force the PTAB to review and decide the patentability of challenged claims for which the IPR petitioner has failed to show a reasonable likelihood of invalidity.